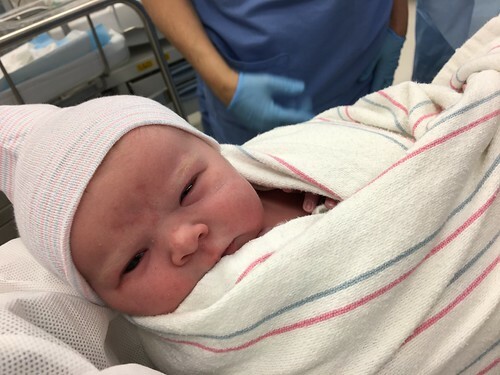 On Wednesday March 29, at 9:21 AM PDT, we welcomed Caroline Elizabeth Burleson to the world! She weighed 8 lbs. 6 0z and was 20 inches long. She and Maggie are both doing very well now 3 weeks later. 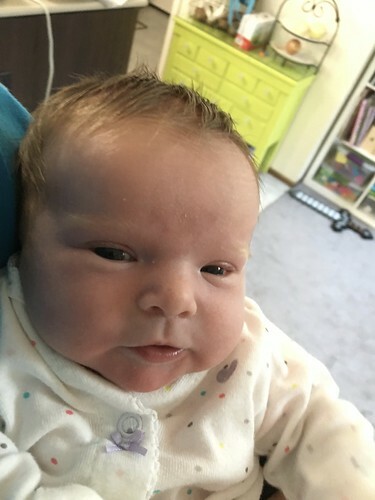 She’s been an incredibly chill baby making sweet coos when she wakes up and only resorts to wailing screams when we’ve taken too long to get her bottle ready or if she has a wet diaper. 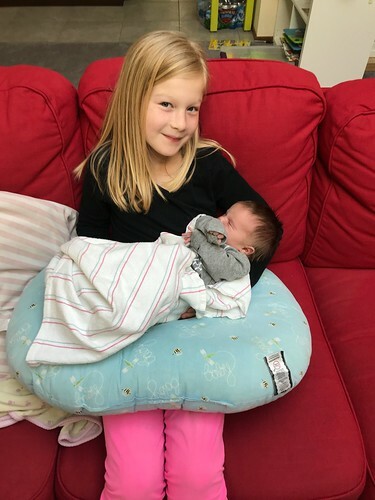 Much like when Brenden and Emily were born, I’m just as giddy as I was when they were born! 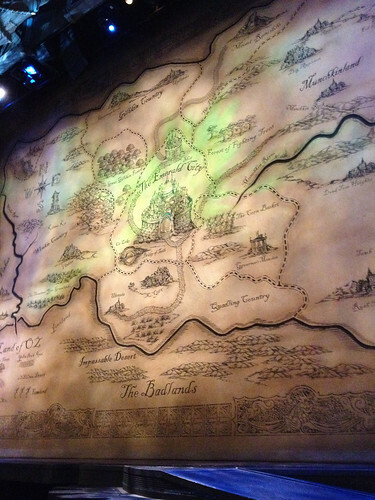 Pretty sure I was on an adrenaline high for the first week and have enjoyed every moment. 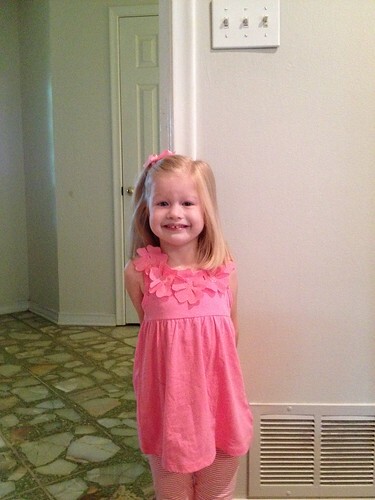 Caroline is adored by her brother and sister and they often ask to hold her or to help feed her. 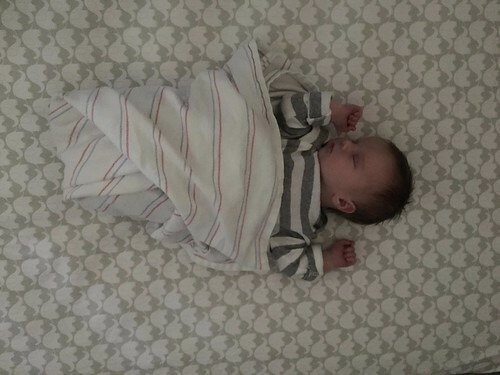 Another adorable thing they do is let us know when she wakes up and starts cooing because they think we need to pick her up immediately. Now on to some pictures. 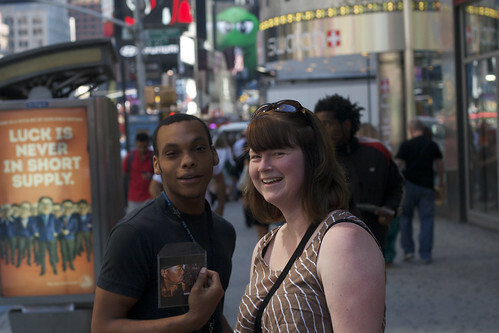 On January 12th a very close friend of mine, Jordan Breeding, died from colon cancer. It was the end of a long series of events that started with a car hitting him in April. I was living with him at the time as Jordan had graciously offered me his couch to sleep on while I started at Apple before my family could move to California. It still comes as a shock to me that it hasn’t even been a year since I moved into his apartment and he’s gone. I met Jordan at the first NSCoderNight Dallas I hosted in 2010. We hit it off immediately and I knew I was going to learn a bunch from him right from the start. We both had the dream of leaving our jobs at the time and going full time with Cocoa programming. From there, we both ended up taking similar paths to Apple. I took a little longer then he did to fulfill the dream, but I was so happy that we were both going to be there together. It hurts so much thinking about the fact we only really got to be at work together for about a month. 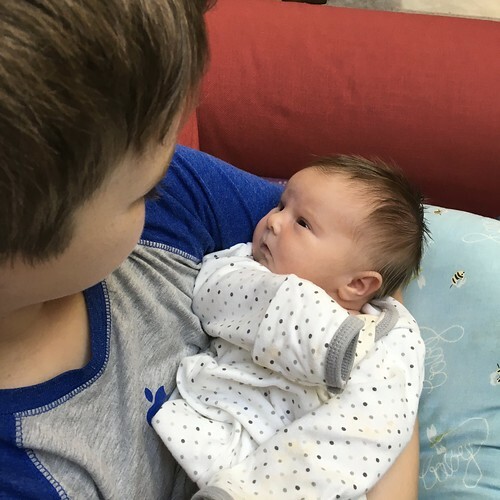 Then the car accident started a whirlwind of medical things for Jordan including his diagnosis for stage IV colon cancer and him mostly being at home or in the hospital the rest of the year. 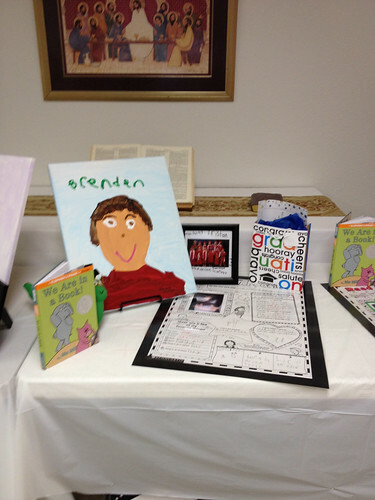 A few weeks ago, we held a remembrance for Jordan at the Cartoon Art Museum in San Francisco. 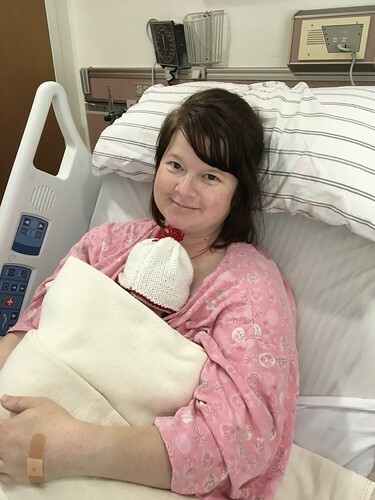 I was honored to be asked to speak and I wanted to share the story I shared there. It’s not a story I’ve really shared before and until now was really only known by those that participated directly. For those that knew Jordan, they know that he was a incredibly generous and caring person. He did so many things for so many people, it’s a wonder he ever got anything else done. Over the years, particularly when I was going through a rough patch, he’d send me iTunes gifts of movies or TV shows. Even in the midst of chemo and knowing he was terminal, he sent me South Park episodes I “had to watch” because he wanted me to laugh. There is a time Jordan really went above and beyond. In 2013, while I was dealing with my dad’s declining health, I’d been discussing with Jordan that I was pretty sure I wouldn’t be able to afford a WWDC ticket. But I was making plans on coming out to SF for the week anyway just so I could hang out with the Cocoa community and visit with him. One day in late March of that year, Jordan texts me and asks if I have time for a phone call. This was highly unusual as Jordan would almost always do everything over electronic messaging of some sort. I told him I always had time for a call from him. He called me and let me know that he’d organized a few folks in the Cocoa community to raise some money for me to be able to buy a WWDC ticket. He said there had been generous support and that there was enough money for a ticket and a flight. I just had to work out hotel and food. I was overcome with emotion and broke down in tears with that news. And knowing now how much time and effort Jordan was putting into what would be come iOS 7 right then, I just can’t believe how much above and beyond he went so that I’d have a chance at going to the conference. Needless to say, I had a lot of pressure to make sure I got a ticket that year (otherwise we were going to have a heck of a bar night). I was one of the lucky ones that was able to buy a ticket that year in the less than 90 seconds before the sold out. I was very relieved…and excited to see my friend. The best part was Jordan got to be on stage that year doing two different demos. And he did an amazing job. He even survived a crash of the simulator on stage without missing a beat. We had several good talks and he introduced me to a bunch of folks at Apple. I will be forever grateful for that. I have so many good memories of Jordan. I cherish and think about them every day. The world is missing one of the really good ones without Jordan here. I miss you Jordan, you were one of a kind. TL;DR: I’ve accepted a position at Apple in Cupertino, CA and I start there March 3. I’m very excited! Ever since I understood what getting a job meant, I’ve wanted to work at Apple. I was in junior high and I was tooling around on a friend’s Apple IIe writing basic programs to do who knows what. In High School I started learning C with Dave Mark’s book. I didn’t own my own Mac, so I had installed the demo version of THINK C on the journalism department’s Classic IIs. Yes, all of them. I never knew which machine I was going to get to use on any given day. For Christmas, I asked for, and received, Inside Macintosh Vol 5 (or more likely Volume 6). My family and friends thought I was nuts, but it’s exactly what I wanted. In college, I finally had my own Macs1. I got a copy of CodeWarrior Gold and started my attempt at a text editor for the Mac. I learned a lot about the Macintosh Toolbox and how to reboot my Mac at will with bad code. All my friends in the CS department thought I was crazy learning Mac programming. I mean, Apple was Doomed™. Everyone knew it, but I held out hope. Even with that hope, over the next several years, my career took me from the Mac to Sun machines running Solaris and then I finally caved and started using Windows as all the jobs I could find that were paying required it. Funny enough, it was mostly Java work. Then in 2004 or so, I started to get back into the Mac. Panther had been released and OS X was clearly making strides to being a good OS to get my daily work done. Plus, it was Unix, and I really liked Unix after working on my Sun workstations. After the release of Tiger, I knew I needed to get back into Mac programming, if only to save my sanity. I had a couple of app ideas and I started slowly getting up to speed on Objective-C and Cocoa. I was very much inspired by a group of folks who were indie Mac developers: Kevin Hoctor, Marcus Zarra, Steve “Scotty” Scott, Keith Alperin, Daniel Jalkut and Gus Mueller. Kevin, Scotty, Keith and Gus even had a podcast where they discussed their businesses and goals every quarter. Listening to it gave me hope because a couple of them got started just like I was trying to: by learning Cocoa at night to one day supplant the day job. Just as I’d gotten an early alpha of a Mac app I was working on out the door to some friends, the iPhone SDK was announced and changed everything. I shelved all my Mac stuff and started digging into iPhone development. Those early betas were so raw: no Interface Builder, everything done in code. Yet, despite that, there was definitely a sense of excitement around developing for the iPhone. Then, the real catalyst for my Cocoa career came: WWDC 2009. I can trace where I am today back to tracking down and meeting Dave Mark and Jeff LaMarche at the Thirsty Bear that first Sunday night of WWDC. I would remain in contact with Jeff over the next year or so, and that paid off with Jeff helping me land the client contract that allowed me to go full time indie in the Fall of 2010. I also received great pep talks about following my passion from Mike Lee and Daniel Pasco. In the Fall of 2009 I was lucky enough to attend C4, which would end up being the last C4 conference. I’ll never forget a presentation from Rob Rhyne about Briefs. It was such a simple and cool idea and I started looking at using it for presenting my iPhone prototypes. Fast forward to 2011, and I would join Jeff and Rob’s company, MartianCraft, as a full time contractor working with an amazing team on client projects as well as internal products. The past year or so I’ve been mostly focused on bringing Briefs to life. It’s funny how things come full circle like that. Now, I’m getting the chance to live the dream I’ve had since junior high: I’ve accepted a position at Apple in Cupertino, CA and I start March 3. I’m moving out first with my family to follow. It’s going to be a huge change, but my wife and kids are excited about moving to California. 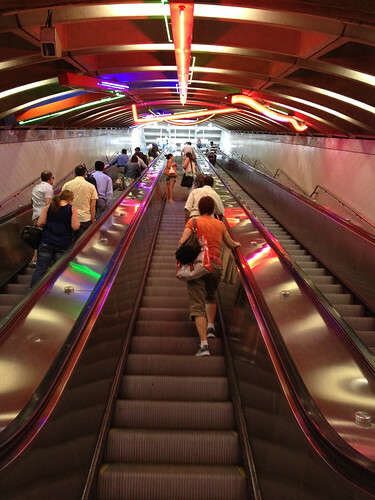 I started this blog 10 years ago to document the adventures of my wife and me moving from Texas to New Jersey when I got a job in New York City. Again, it’s funny how life has a tendency to circle back around. Here’s to another great adventure! 1. A Performa 5200 and a PowerBook 5300 (aka the Hindenbook), incidentally 2 of the worst Macs ever made. I didn’t care, they were my Macs. Also, a slight fib: my first Mac was a Performa 430 we got in my junior year in high school, but I shared it with my dad and mostly used it for writing papers and playing games.? Not longer after we got our first dog Bailey, we quickly realized that she had a lot more energy than we were ready to deal with. We decided to her a companion dog to play with and be able to burn off energy with. That’s how we ended up at the SPCA one July day and found a set of puppies ready to be adopted. Sam was a little homely with his spots and his blue flecked eye, but we thought he was pretty darn cute. He and Bailey made friends very quickly and she was also quick to put him in his place in the pecking order. Our plan mostly worked with them burning a lot of their energy on each other. Of course, there was the destroyed furniture, toys and house along the way too. Even through the frustration, we loved having them both in our household. They were constant companions until Bailey died last year. Since then, Sam hadn’t always known what to do without her, but he eventually got back into his own routines. He never did get used to eating from the position where Bailey used to eat though. This past week, after some painful decision making, we had to say goodbye to Sam. 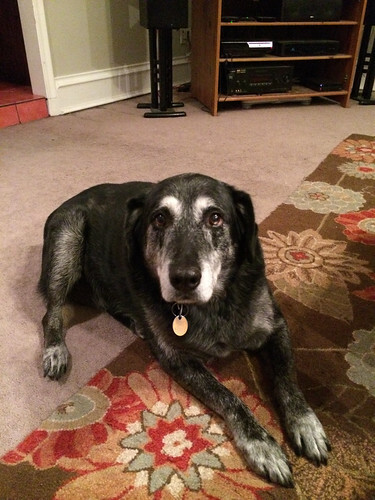 He was an incredibly good dog and gave us great company for over 10 years. It’s shame they don’t get to stay with us longer. 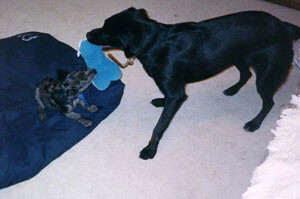 Bailey was quick to prove to Sam that the “Blue Guy” was hers. But they each got their own bone to chew on. Sam really loved our walks when we lived in New Jersey. Here he is giving us the sad eyes to go for one. 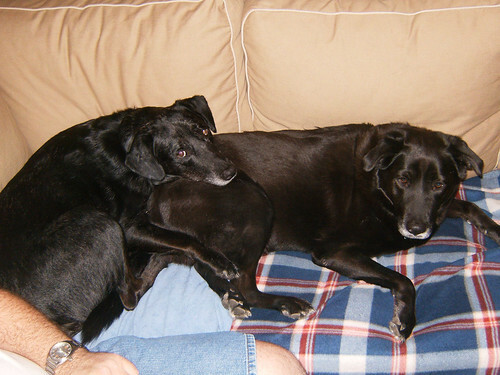 Sam also liked to cuddle up with Bailey on the couch. She wasn’t always a fan. One of the last photos I took of Sam. Like I said when I posted it on Instagram, I’m really going to miss him. After watching my brother Greg finish his second Dallas Marathon last December, I’ve spent this past year getting back into running. I’d gotten back up to being able to run a 5K without walking and was doing that every other morning, getting a little bit faster each time out. That went well through the Spring where I ran the Color Run 5K and then the Muenster Germanfest 5K setting new Personal Records for each race. 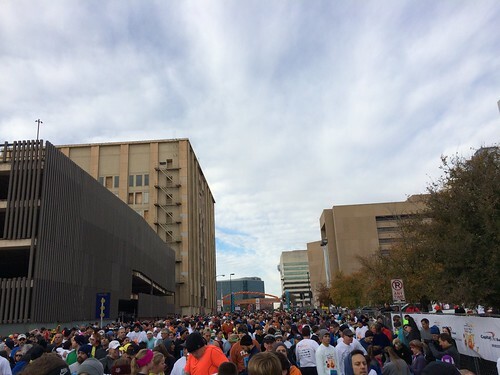 I was planning on running the Dallas Half Marathon this year, but towards the end of the summer and into the fall, I fell out of this schedule and lost too much training to do it this year. 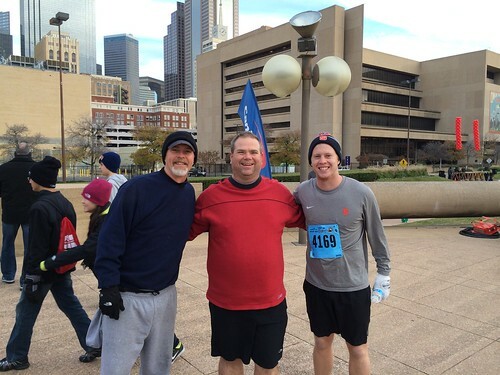 A few weeks ago, my brother mentioned he was going to be running the Dallas Turkey Trot 8 mile with my nephew. I decided I’d sign up for the 5K to force myself back into the running training. I’m happy to report the race went well, although I had to slow down from my brother and nephew’s pace around the 1.5 mile mark and I waved them to leave me behind. Even then, I was able to come in at 32 minutes even, which I considered to be a great time considering how slow my training runs had been. 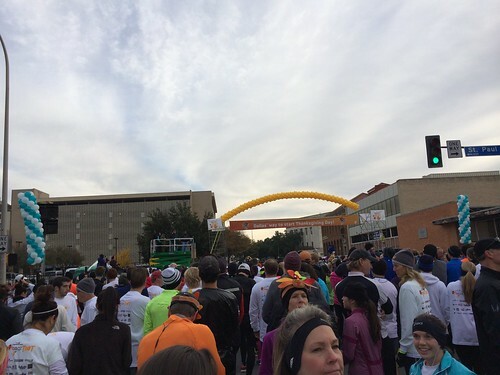 I’ve found myself renewed to reach a goal of running a half marathon in 2014. Next up along that path is finishing a 10K. Here’s to it! 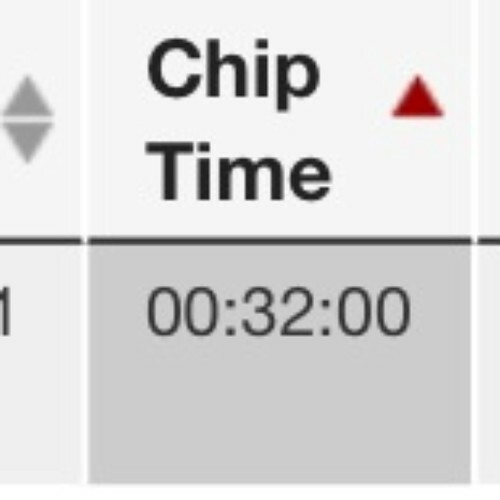 A screenshot of my official time. 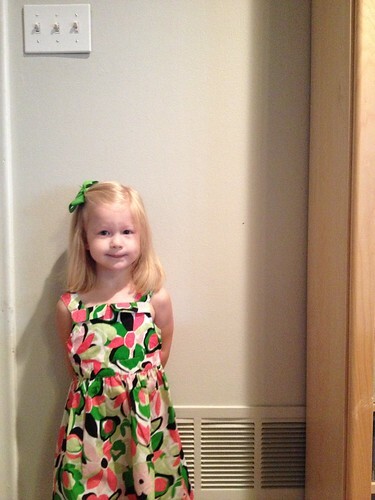 I got this idea of posting beginning of school year and end of school year photos from Linda Sharps (who is hilarious on Twitter). It really shows how much the kids change over a relatively short time and yet we don’t notice it because it’s happening so gradually. I had to cheat for Emily because in all the events of May, I lost the picture I took of her on her last day of 3-year-old pre-school. So that’s almost exactly one year of growth. On the morning of May 30 I got one of those calls you never want to get. The nursing facility where my dad was doing physical therapy called me at 6:15 AM and left me a message because I had Do Not Disturbed enabled. I noticed the message shortly after 6:30 when my alarm went off. The message was from the head nurse asking for me to call them as soon as I could. This was a tip off that something was Not Good. While listening to the message, my phone rang again. This time, it was the Director of Nursing. Super. Not. Good. He was calling me to inform me that my father had died about 30 minutes ago. He told me that the funeral home would be coming to get him and he’d be there when I was ready. I hung up the phone and went to tell Maggie. At this point, I was a weird state. There was some shock, there always is when someone dies. But there was also a little bit of “I was expecting this”. Between February 11th and the day he died, my dad had been home in his apartment a total of 8 days. 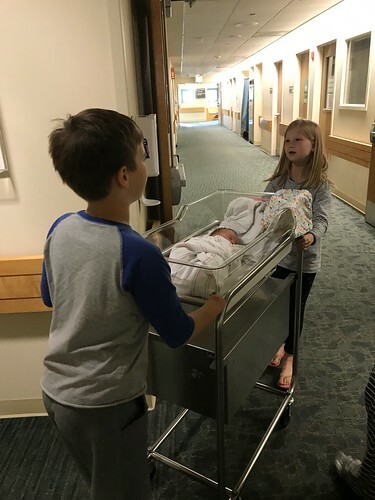 The rest of the time had been spent switching between the hospital and a couple of different nursing facilities. He had been in poor health for a couple of years. Of course, I didn’t quite think it was Death’s Door levels of poor health, but it wasn’t the best. In the end, it appears he died of cardiac arrest. The next few days were a blur of taking care of a lot of things. I had a lot of support from so many family and friends. Some of which I can never truly repay. I’ve taken a long time to write this post because I wanted to give myself some time to get away from the immediacy and shock and to really think about my dad and what I wanted to say about him. He was my hero growing up. He knew how to take care of everything and make everything better. He had to take this role by himself because my mom died when I was 6. This combined with his work schedule, meant I stayed with either my grandmother (his mom) or my great-aunt and uncle a lot. I saw my dad mostly just before bed and on the weekends. And I remember cherishing every moment. He gave me my love of soccer (and sports in general). He coached my under-5 soccer team called the Cookie Monsters. We had so much fun even though we lost every game and never scored a goal. He made sure I stuck with it and later I was on some pretty great teams with him cheering us along on the sideline. He was a member of the Elks Lodge and the Sons of AMVETS. He was elected the Sons of AMVETS National Commander for 1998-1999. I was lucky enough to be there for his election and swearing in ceremony. He broke down and cried during his acceptance speech saying it was the second proudest moment in his life next to my birth. That brought me to tears. In the last few years, something that brought him great joy was getting to see and talk to my kids. He was their “Pa Jim”. He wasn’t very mobile in the final years of his life, but he really loved having his grandkids running around him and telling them stories. My dad and I didn’t always see eye-to-eye and we frustrated each other a lot. But looking back, I just know he was trying to point me in what he thought was the best direction. Of course, this is something I’m now experiencing with my kids. His final months weren’t the best, and some days were downright awful, but I’m glad I got to spend as much time as I could with him. I worked many days at his bedside and we talked sports, daytime TV, and local happenings. But after nearly 30 years, he joins my mom in the cemetery. I hope they both have found peace. I miss them a lot. 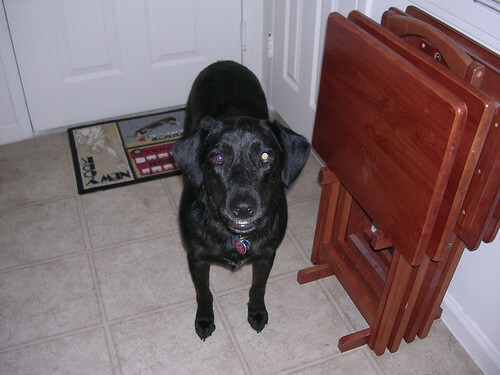 I’ll never forget the first week after we got our Black Lab-mix rescue Bailey. 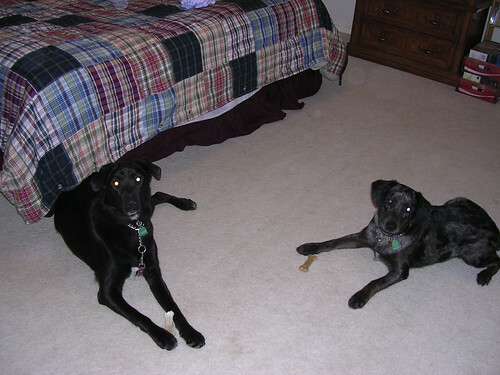 We came home after an evening of celebrating my birthday in 2003 to find Bailey, who was in a puppy fence in our kitchen, had turn up a foot-wide circle of our linoleum. She was super lucky she was a very cute puppy. That wouldn’t be the first thing she would destroy in our house as she grew up, but it was certainly the most memorable. After Brenden was born, she became “his” dog. There was a point when he was 4 or 5 where he couldn’t go to sleep without her in his room. Early in April this year, we had to say goodbye to Bailey. It was one of the hardest days of my life, but telling Brenden that she had died was quite possibly the hardest thing I’ve done in my life. He cried hard for about 15 minutes straight and then off and on for the next couple of days. He still mentions that he misses her and I just tell him I do too. 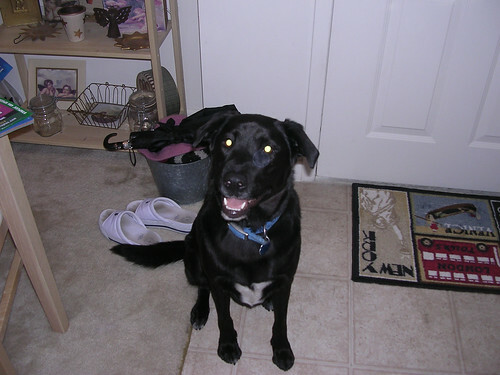 This is Bailey in our apartment when we lived in New Jersey. 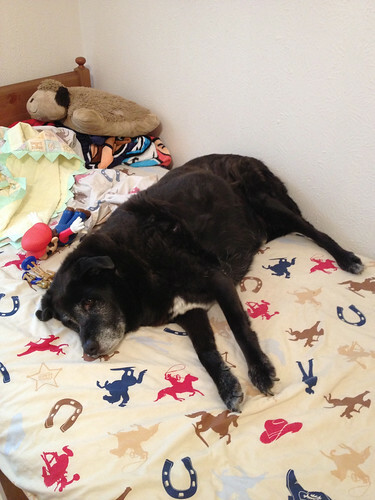 This is Bailey about a week before she died laying on Brenden’s bed, something she loved to do. In those final days, seeing her like that just broke my heart. I miss you Bailey. You were a great dog. An incredible story of sportsmanship and being a good human being. Our daughter Emily has this really cute thing she does when she’s eating something she’s been told is spicy. Or is something that has been spicy in the past but isn’t necessarily spicy this time around. She takes a bite, then yells “‘Picy! ‘Picy! ‘Picy!” and grabs her drink and takes a gulp. Wash, rinse, repeat for most of the rest of the meal. One night I finally got it on video and now I present that to you. It still makes me smile. I just love how the S is missing and how she loves doing this over and over. Today, my friend Justin Williams released a great new developer tool called Committed. It’s an OS X application that uses Notification Center to let you know when new commits have been pushed to a GitHub repository. It’s only $5 on the App Store. Go buy it! I haven’t written about this before, but a friend of mine Steve Streza and I have been organizing a yearly event during Apple’s developer conference called the WWDC Night of Meat. This year we made it a charity fundraiser. It’s taken me far too long to gather the final tally and make the donation, but as you can read over at the Night of Meat site, we were able to raise over $7,000 for the Nation Center for Women and Information Technology. I’m so proud of what we were able to accomplish this year and can’t wait to make it bigger and better next year. Back in March, I had the opportunity to attend NSConference in Reading, England. Scotty, Dave, Claire and their team have put together a great show from venue to the speaker lineup to the food. One of things that’s great about NSConference is that it’s held a ways out of town at a country club style hotel. Because it’s out so far, the only place to really hang out is in the Pub, so everyone does. It’s one of the few conferences where I feel like I could get a chance to talk to everybody there. It’s also great to get to talk a lot of the Europeans I interact with online that don’t get a chance to make it over to US events. Oddly enough, I also met a couple of my fellow MartianCraft devs in-person for the first time there as well. I have a photo set on Flickr of a few pictures I took during the conference. I had dinner with the other MartianCraft folks that were at NSConference at an Indian restaurant. 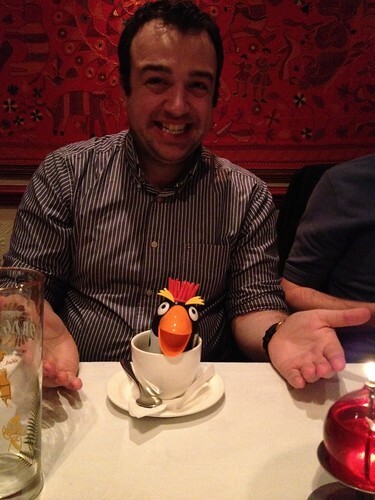 When it came time to order dessert, Neil Inglis (pictured) just wanted some ice cream. The only part of the dessert menu that had just ice cream was the kids section. Even better: it was served in a think called a “Punky”. Neil tried several times to order just “plain ice cream”, but in the end he had to say “I’d like to order a Punky”. And it came to the table and much fun was had at Neil’s expense. Luckily he was a good sport about it. It looks like Scotty has already got the dates for next year’s NSConference posted for March 4th-6th. I highly recommend attending if you can. 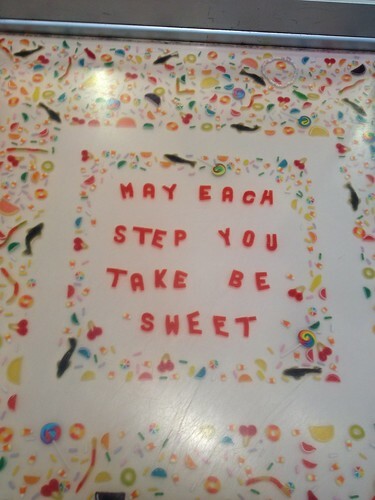 During our anniversary trip, Maggie and I made a point to go visit Dylan’s Candy Bar. 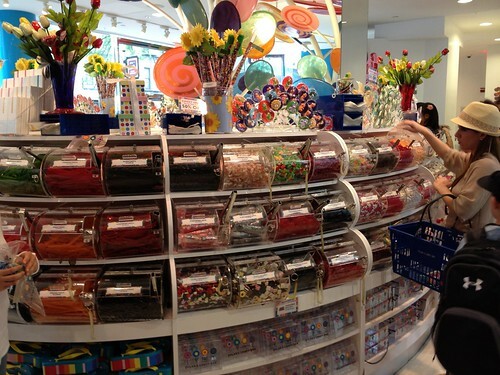 For those that haven’t been, it’s an awesome 3 story candy store in NYC. 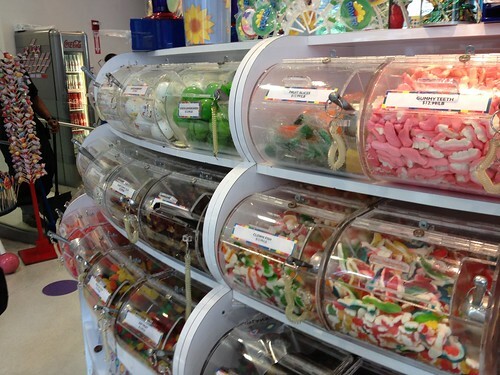 It’s hard to capture just how much candy is in this place, but I’ve tried with the following photos. We plan on taking our kids here in the future, but we also know that once we do, we’ll never get them to leave the store. The center of the first level has this circle of assorted candy that is everything you can basically think of from licorice to jawbreakers. 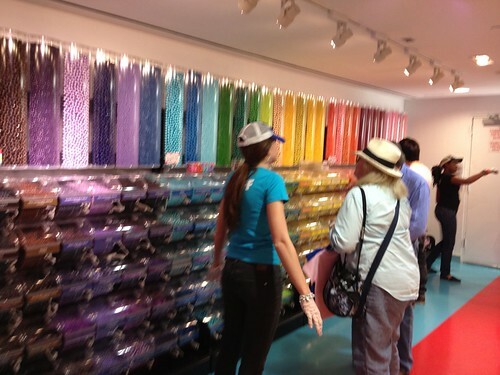 Also on the first floor is a wall of gummy candy. 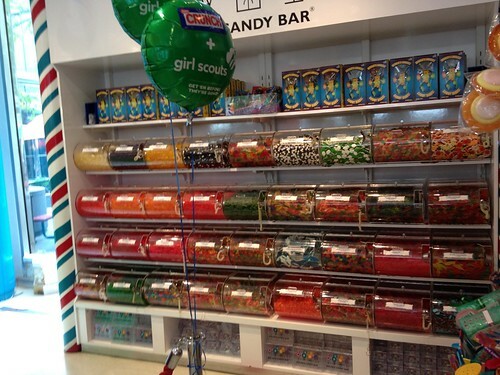 Getting closer to the wall of gummy candy, on the top shelf is this amazing item: a 5 lb. 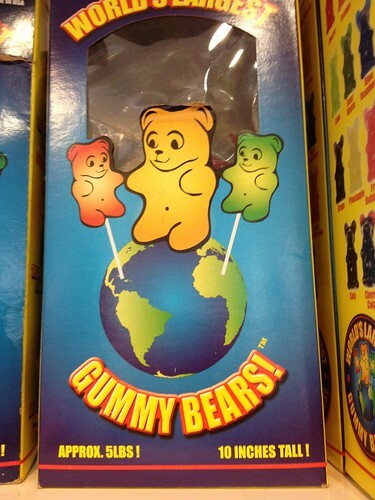 gummy bear. 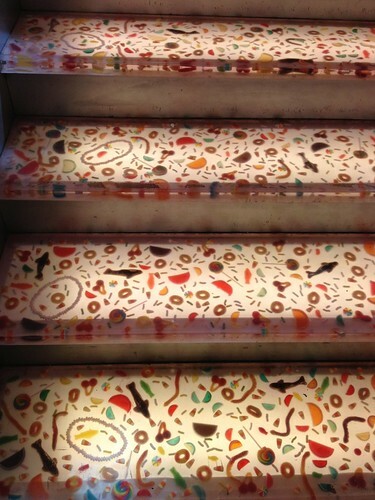 The stairs are clear have all sorts of candy embedded into them. The have these two messages on the landings. 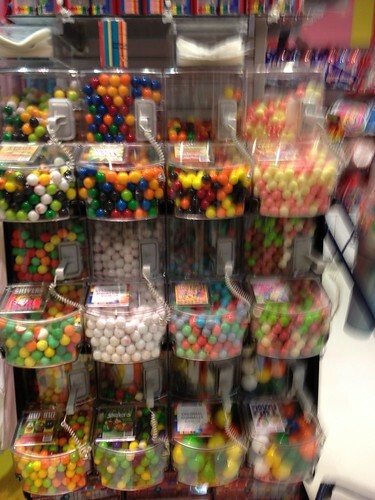 In the basement of the store are two walls of gum balls. 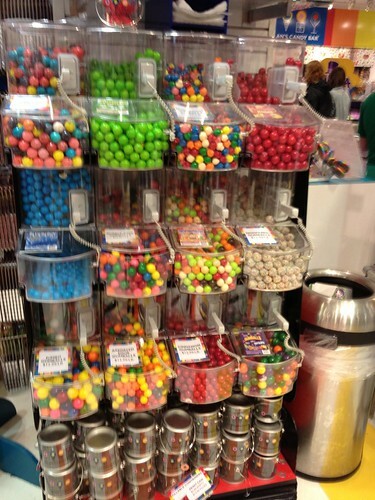 The also have a wall of things like raisins and sunflower seeds covered in different colors of chocolate. They are delicious. 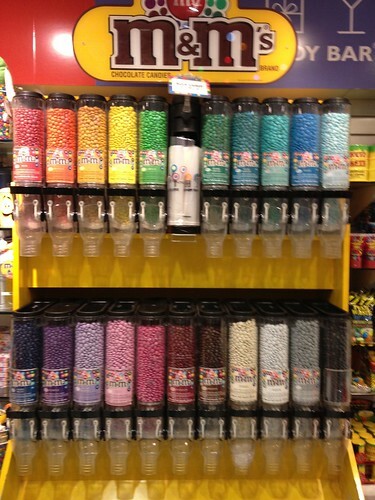 And of course a wall of M&Ms. 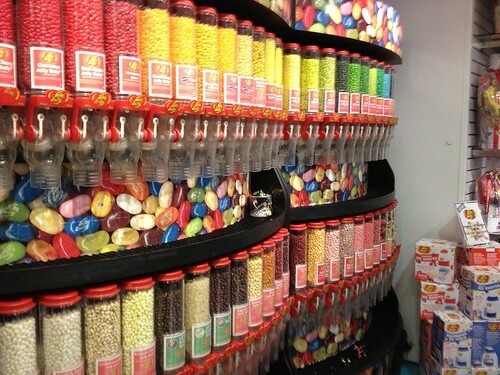 And a wall of Jelly Belly jelly beans. 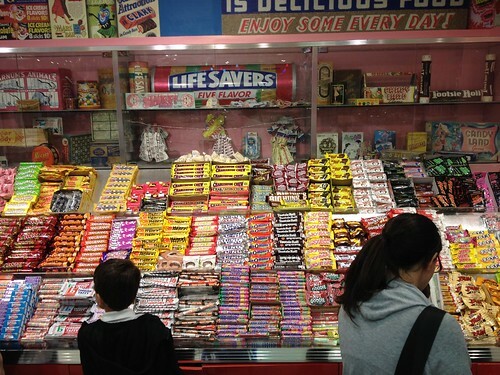 Along the back wall is an amazing assortment of candy bars from all time frames. 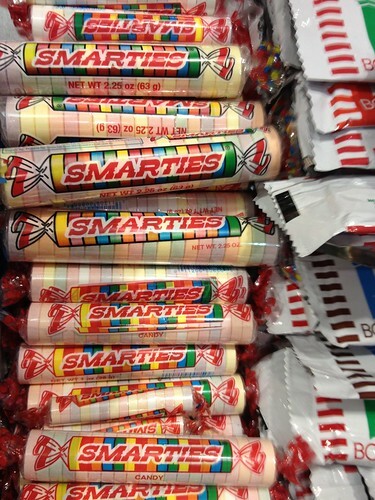 And finally they have very large Smarties. 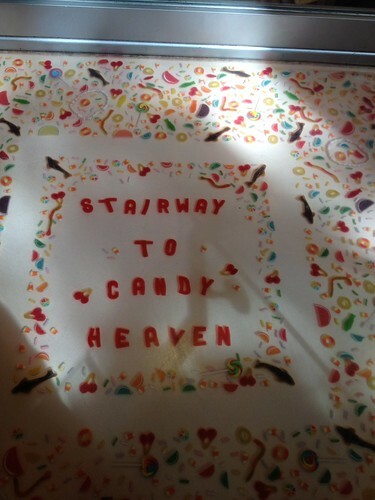 Something I didn’t take pictures of is all the clothing, pillows and assorted other things that are all candy themed. From M&M pillows to Mario themed candy boxes. And after you’ve looked at all the candy and other things in the basement and on the first floor, if you head up to the 2nd floor they have ice cream and shakes. 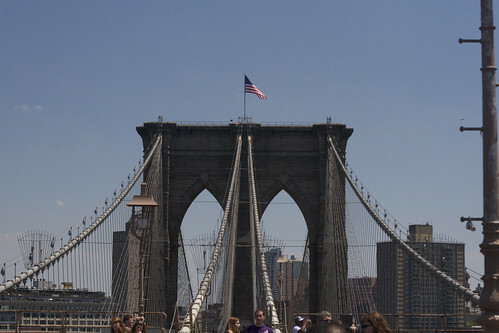 It’s such an amazing place, if you’re ever in NYC you should definitely check it out. On June 1, Maggie and I celebrated 10 years of marriage. It’s been an incredible time and she’s the best wife and friend I could have ever asked for. To celebrate we took a trip to NYC. It was the first time we’d been back to the city since 2007 and we had a great time. Having lived there from 2004-2005, we mostly wanted to see old favorite spots and have some of the foods we really missed. 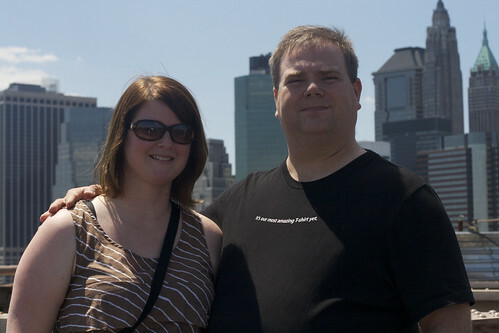 Above is a picture of us taken on the Brooklyn Bridge. I, of course, went looking for Street Meat. 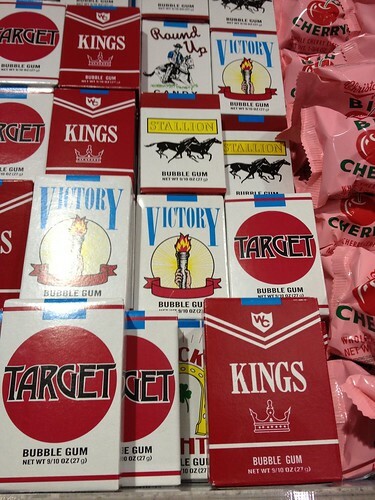 Sadly, the guy I used to go to was no longer there, but we found a couple of great carts. That’s right, I had street meat three times while we were there! It was everything I remembered. We also made it down to Chinatown to get hot pork soup sticky buns, which apparently only exist there. So, so good. We had an awkward moment looking for the place we used to go to. We found the location and went in, but quickly realized, it was no longer the same place. Unfortunately, we didn’t realize this until after we were seated. I realized, we’d passed the new location of the place we liked because I saw the sticky buns pictured in the window as we walked by. I quickly apologized to our waiter and gave him $5 for his trouble and we headed out. Once we sat down at the other location, we immediately knew we were in the right place and were in sticky bun heaven very soon. There are some more photos from our trip over here if you want to check them out. Recently, I made a disastrous mistake with my Mophie Juice Pack Plus by partially submerging it in some water. This of course destroyed it and with only a couple of weeks until WWDC, I needed to get a replacement pronto. I jumped on Amazon and noticed the Mophie was selling for $65, which was an incredible 35% savings off the retail price. In this case, it turned out to be too good to be true. The thing I didn’t notice was that this offer wasn’t from Amazon themselves, but instead another Amazon “seller”. Amazon does call this out, but I personally don’t think it’s prominent enough. I’ll certainly be keeping a closer eye on this in the future because I was shipped a counterfeit Mophie! If the bottom edge of the case hadn’t started to peel, I may have never noticed. Once that happened, I posted a picture on twitter and the @mophie account replied back to me to be wary of counterfeits from Amazon sellers and to make sure to order directly from Amazon or Mophie to be sure to get a legitimate Mophie. I grabbed my broken case and started comparing and, sure enough, there were very subtle differences. Most of those differences are outlined here (thanks to Jay Tamboli for the link). The only thing I didn’t have to compare was the packaging. I ordered a Mophie direct from the company (luckily they were running a 20% off sale for Memorial Day weekend). When the new case arrived, I started comparing the packaging and I noticed all the differences the site above points out. One thing that’s hard to capture its that the color of the LEDs that light up to show the Mophie’s battery level are also different. The real deal is pure white, while the fake has a blue tinge to them. Be careful when you see a good deal on a Mophie, there’s a chance it’s too good to be true. I’ve also reported the seller to Amazon and they are issuing me a full refund. Great customer service there. Kudos to Amazon. 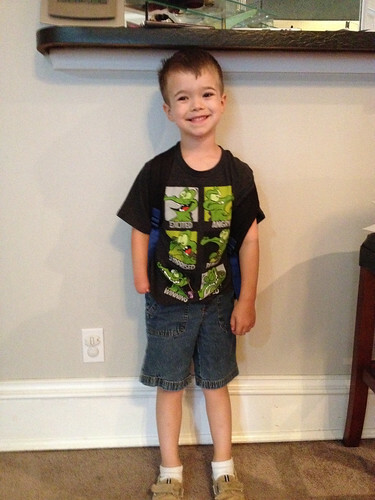 Our little boy keeps growing up. 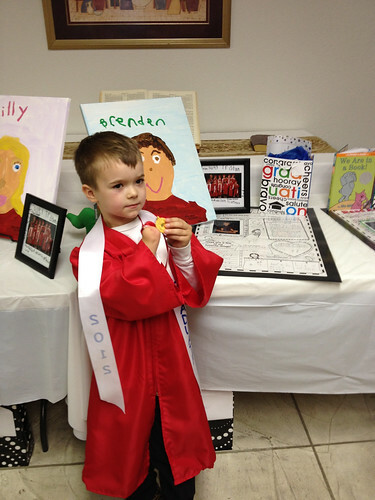 This past week, he graduated from Kindergarten. 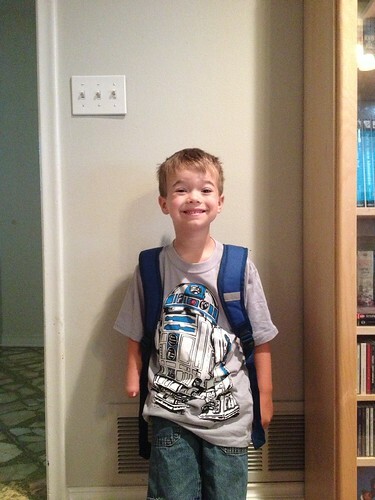 It’s been amazing watching him mature and learn during this school year. 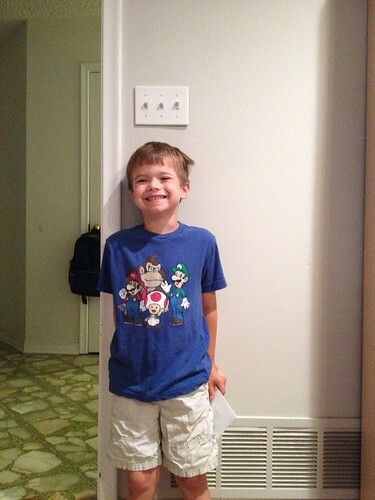 He’s learned to read and to do math as well as being very good at spelling tests. While we’re very excited about him graduating, it is a little bit sad that he will be leaving this school to go to our neighborhood elementary school. 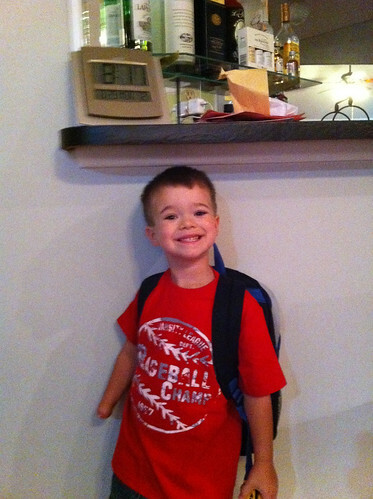 Although he will likely go back for visits since his sister is still going there for pre-school. Also, did I mention he’s grown a lot since the first day? 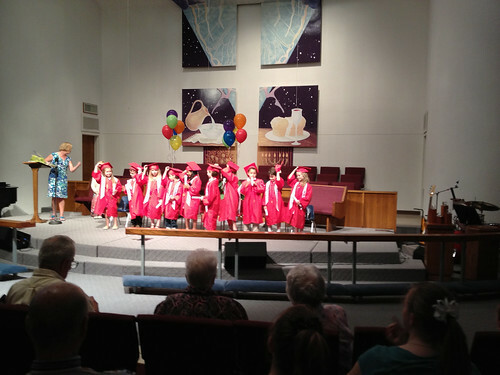 The graduation ceremony was fun and the kids seemed to really enjoy it. The school played a movie of photos from the year and you could hear the kids giggling as they saw things they remembered. It was really cute. 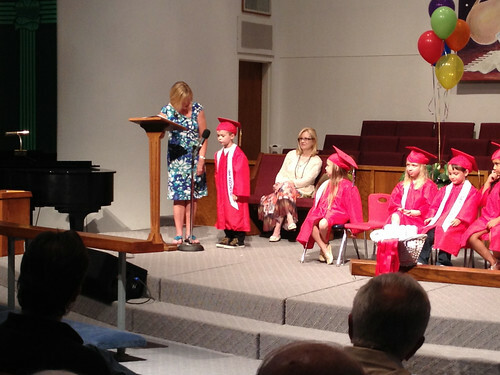 The school gave the kids a cool set of gifts for graduation. Brenden made the pairing and the “About me” sheet. Each kid told us their name and how long they had been at the school as well what they learned this year and what they wanted to be when they grow up. This is Brenden doing his speech. 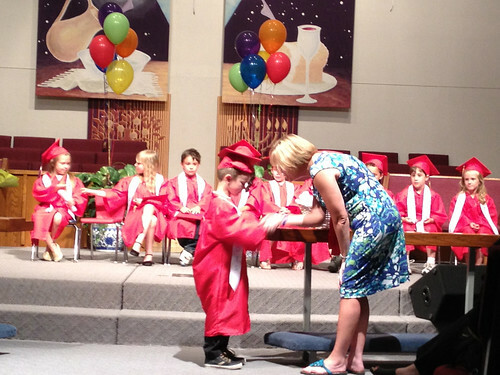 Brenden receives his diploma and graduation medal. The kids prepare to throw their hats. 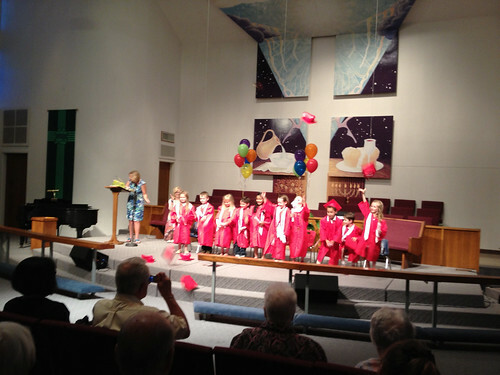 The kids throw their hats! Brenden is so proud of his graduation medal, he’s been wearing it around the house all weekend. I realized I never put this on the blog, but back in November I started working with the great guys at MartianCraft. I’ve been super busy working on a client app that should get released sometime this week. I’m pretty excited about that app being unleashed on the world, and I’ll be sure to post when it’s available. The team is amazing in the things we get done, especially considering we mostly all live in different cities and even countries. I feel lucky to be a part of it. I’ve been using it all this week for all my computer working time and I’m on it right now writing this. I’m walking at a 1.5 MPH pace right now and I expect to try and get that up to 2.0 MPH over the next couple of months. I’m taking it slow and steady so as to not overdo it, and that seems to be paying off. I find that my concentration and focus level is higher and my mind isn’t getting distracted as much. The only real challenge has been drinking coffee and walking at the same time. Marching band experience to the rescue there! 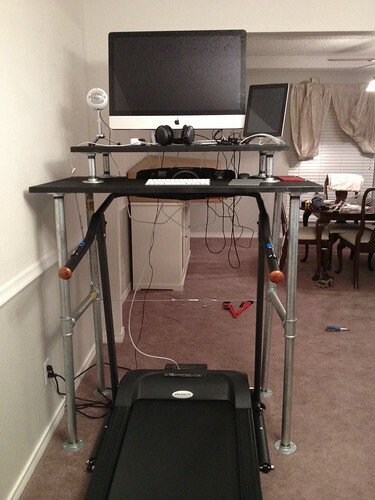 One of the great things about having a treadmill desk is it means that I’m never missing my chance to burn calories. Previously, like Jeff, I’d have some client deadline that that would make time spent at the gym feel like I was putting myself further behind since I wasn’t getting anything done while I worked out. Now, I get my calorie burning and client work in at the same time. Win-win! I ended up needing a couple of pipe wrenches getting my pipes unscrewed when I messed up a little and then I used them again to tighten things together before attaching to the wood. My short cross pieces of pipe are about 17″ instead of 20″ so that the tops of the supports more easily fit to the edge of the wood. I’m 5′ 11″, so I went with 22″ pipe lengths for the legs instead of 23″. I put the center of the guy wire holes 1.5″ in from side and back. These measurements aren’t marked on Jeff’s diagram, so I guessed and this seems to work well. A swaging tool, used properly, makes crimping the wire very easy. Both Lowe’s and the Home Depot have them on the isle with the wire rope. It’s going to run you about $20-$30. Linking them here as I had a hard time finding them in the stores. Jeff’s Lowe’s must be awesome to carry the 1 1/4″ thick boards for this project, but mine didn’t, so I went with 1″ thick. No problems holding all my computing stuff. You’ll find them on the moulding and furniture building isle. They are NOT in lumber (they’ll just stare at you blankly if you ask). The treadmill comes almost fully assembled, but be careful taking it out of the box. The console comes attached and can drop and yank out the wires when you lift it out. I had to send my first one back because this happened to me. Be prepared to spend some time on this project, it’s not easy or quick. And I’d get the wood work done and painted to dry while you wait for the treadmill to be shipped. You really want to give the paint a couple of days to dry.